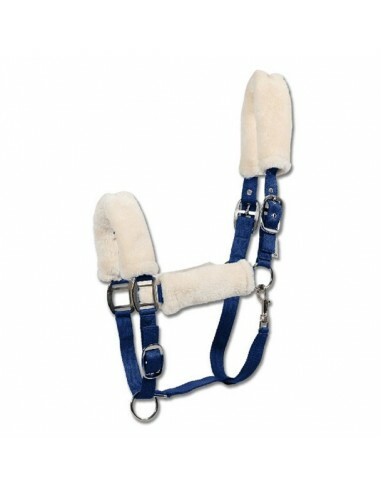 Halter made of nylon very resistant. Headpiece, noseband and cheepieces padded with synthetic sheepskin. Halter made of nylon very resistant. Headpiece, noseband and cheepieces padded with synthetic sheepskin. Adjustable at both sides of the headpiece and chin. Hook of fas opening at throat. 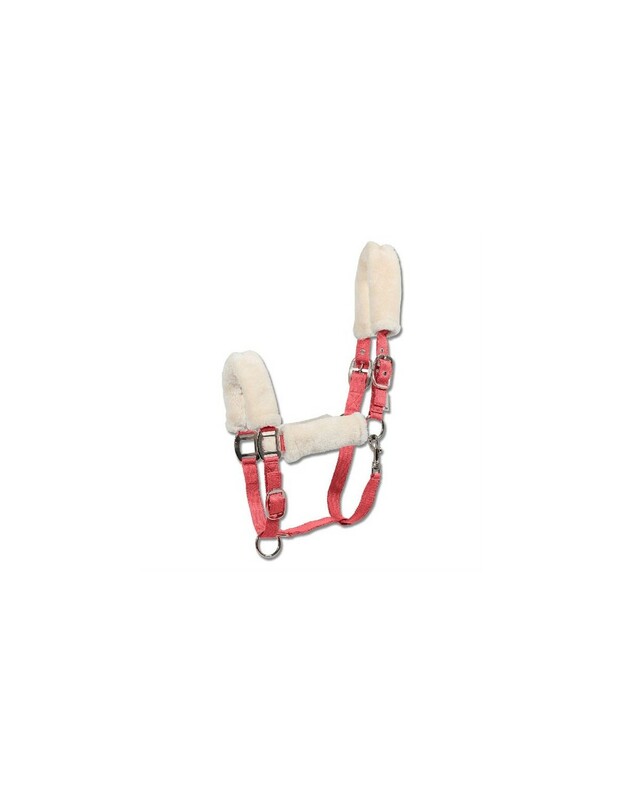 Stainless steel buckles.